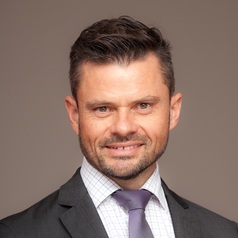 Professor Daryl Higgins commenced as the Director of the Institute of Child Protection Studies at ACU in February 2017. His research focuses on public health approaches to protecting children, and child-safe organisational strategies. A registered psychologist, Prof Higgins has been researching child abuse impacts and prevention, family violence and family functioning for 25 years. Prof Higgins is a registered psychologist with extensive experience in managing and supervising research, and has led projects looking at child abuse and neglect, child protection, children in out-of-home care, child-safe organisations, family law and allegations of child abuse, disability and family care, welfare reform, family and interpersonal violence, jobless families, past adoption and forced family separation practices, and community development approaches to child and family welfare issues.